2018 Pine-Richland (Pa.) quarterback Phil Jurkovec‍ was a national name before the start of this season, but the five-star prospect's quick start has only furthered the hype. Through just two games in 2017, the 6-foot-5, 220 has amassed 677 passing yards, 173 rushing yards and scored a total of 12 touchdowns. For his career, Jurkovec has thrown for 4,910 yards, 38 touchdowns, six interceptions, but he has also rushed for 1,904 yards and 25 more touchdowns in just 20 games. 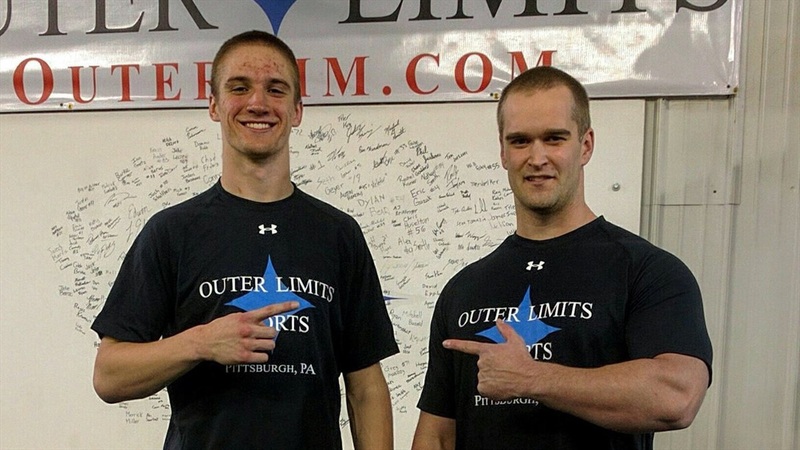 The Pennsylvania native has all natural abilities a quarterback could ever want, but Bill Nichol of Outer Limits Training has been tasked with developing those traits into elite traits. In a society where people want instant results, Jurkovec has taken a different approach to Nichol’s training. “The biggest thing in training him is his eagerness to learn,” explained Nichol. “We design individualized custom training to fit everyone’s needs at Outer Limits. Phil knew we were science-based in our training and I have never seen someone ask so many questions. The Pittsburgh area is known as the Cradle of Quarterbacks. Dan Marino, Joe Montana, Joe Namath, Jim Kelly, Johnny Unitas, Terrelle Pryor, and Tom Clements are just a few of the many names from Jurkovec’s area. Nichols saw from the start that Jurkovec had the potential to add his name to the list, but he also wanted to develop him into more than just quarterback. “When we bring an athlete in, we do some initial testing to see where they are at,” Nichol said. “When we went through Phil’s testing, his biomechanics, plyometrics, and body control were all above average. I had seen a couple of games he had played in middle school, so I knew he had a good arm, but he also had more than a good arm. Jurkovec and Nichol started a lengthy process to develop his natural attributes. There were quick results, but Jurkovec has continued to improve athletically over the years. “We built a foundation with him in middle school,” said Nichol. “We did some muscle activation and things that would set him up for more advanced training down the road. Each year, he progressed his strength, explosiveness, and fast-twitch. All the exercises we gave him, Phil conquered them. The ability for Jurkovec to catch on quickly to an advanced training was impressive, and it goes back to his work ethic. Many elite athletes 'refuse to lose' and Jurkovec is one of those guys. “The great thing about training Phil is the fact he doesn’t miss a rep,” Nichol stated. “If he does an exercise or drill incorrectly and we tell him the rep or set wasn’t good, he will ask questions on how to do it right. He will do the rep because he isn’t satisfied. He does it until it’s perfect. Over the last year, Jurkovec has probably made his biggest gains. It wasn’t a coincidence as Nichol had a plan and the Pine-Richland star bought in as soon as he saw it. “Phil was probably around 195 pounds last year,” explained Nichol. “For a college quarterback, it was going to benefit him to put on 20-25 pounds. We wanted to set him up for college. I sat him down at the desk after basketball season and asked him what his goals were. He wanted to put on weight while not sacrificing speed. I told him we could put on weight and increase his speed. “We did a periodization chart, so he knew every day and every workout. We wanted to get him to 220 and improve his speed and overall athleticism. Nichol wasn’t surprised to see Jurkovec make big gains, as he see’s it every year. Jurkovec is also pushed by fellow classmate, and Notre Dame hoops commit Rob Carmody. What’s the most impressive moment in all the years of training for Nichol? It very well could be the first day he got to work with Jurkovec.